A man walking into the distance on a wood boardwalk at Sandy Point Beach in Stockton Springs, Maine. 4k00:25Man walks on pathway in a green park. Close up of legs in sport shoes. hd00:19Video of a man casually dressed in a straw hat walking a dirt path with trees and bushes on each side. hd00:26Video of a casually dressed man walking towards the camera on a shady footpath with dense foliage on either side. 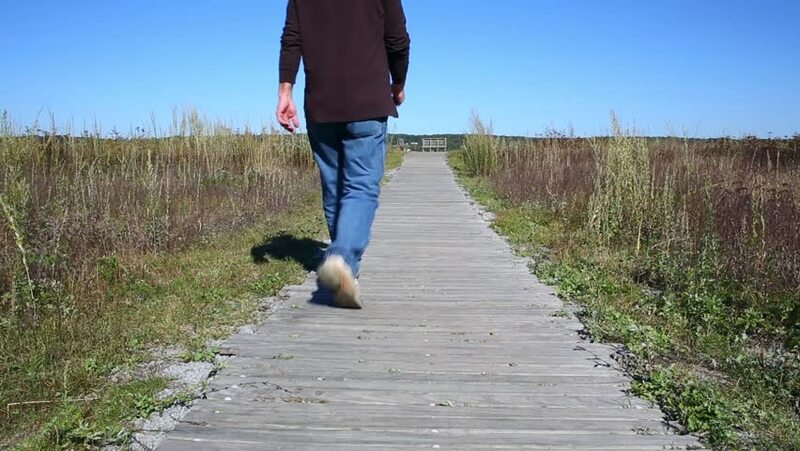 hd00:27A man walking forward on a wood boardwalk at Sandy Point Beach in Stockton Springs, Maine. hd00:56A photographer walking onto a small boat dock at Toddy Pond in Maine in the early morning light.